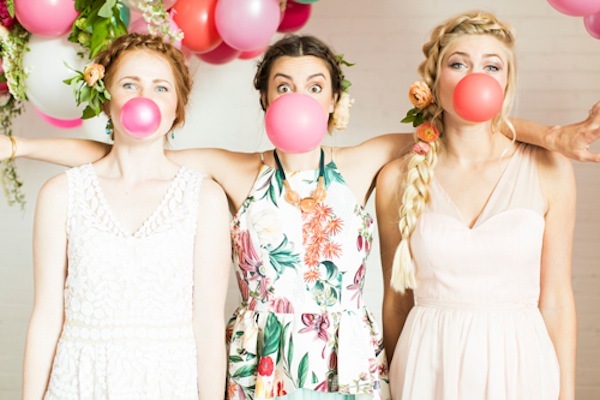 I’m head over heels about this flamingo pop collaboration between The House That Lars Built and wedding favourite BHLDN. 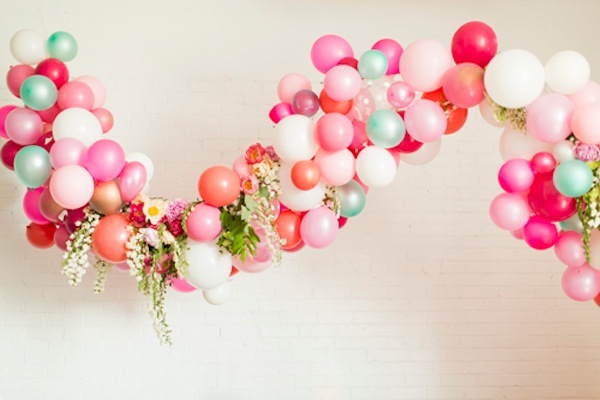 Designed as a fun bridal shower theme, I actually think there’s a lot of whimsical pink wedding inspiration for you brides to devour. 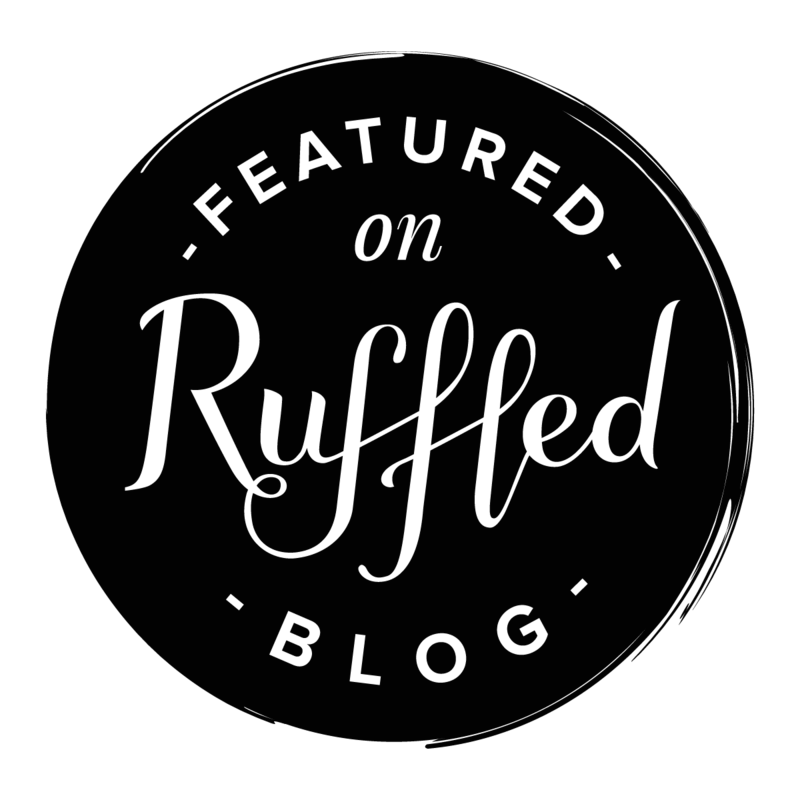 I was over the moon when the lovely Brittany of The House That Lars Built agreed that I could share a snippet with you, it is too spectacular not too. Just look at this! Woah right! 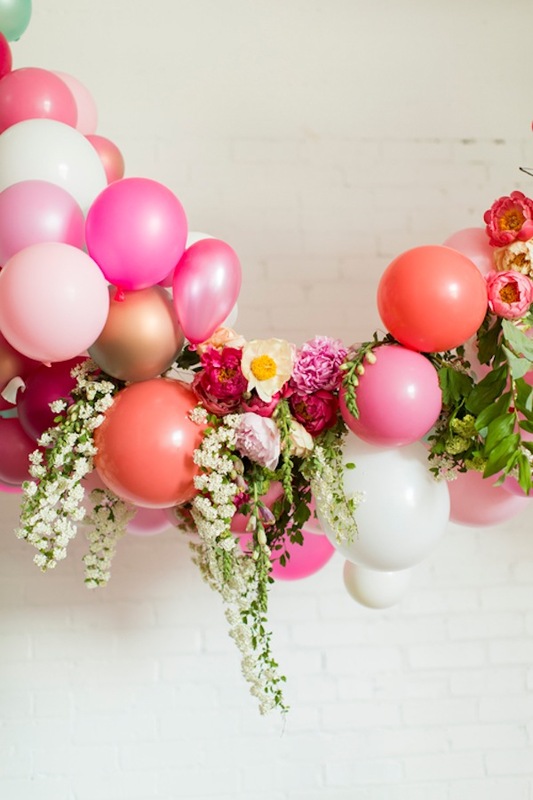 Balloons and flowers together is such a fresh idea, here’s a link to the tutorial if you wanna give it a go – www.thehousethatlarsbuilt.com Perhaps you could create a smaller version for your wedding ceremony or even photo booth backdrop. 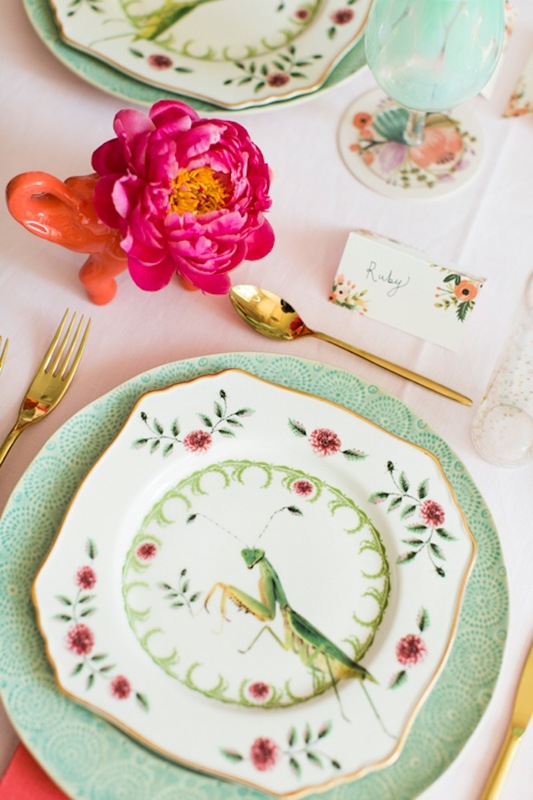 Next for some whimsical pink wedding table inspiration featuring a lot of pretty things from BHLDN. 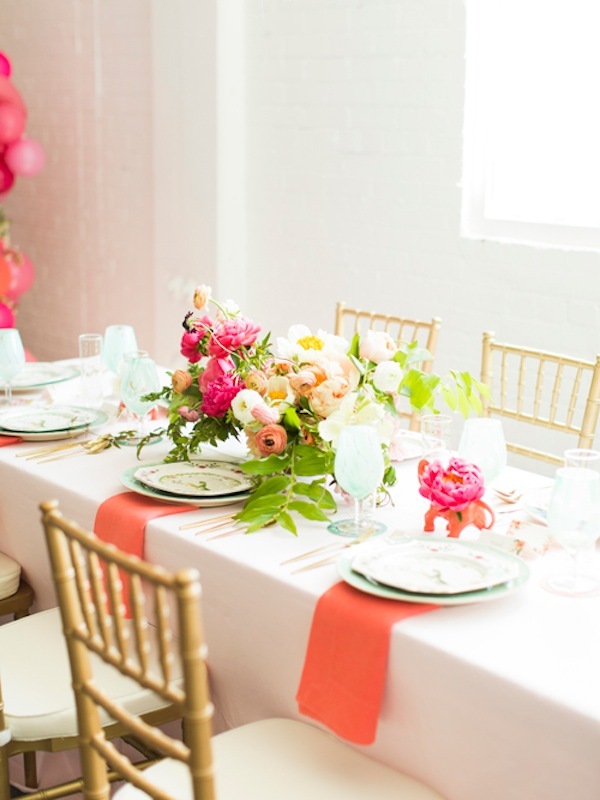 On the table, Brittany cleverly used minty tones to make that pink pop. 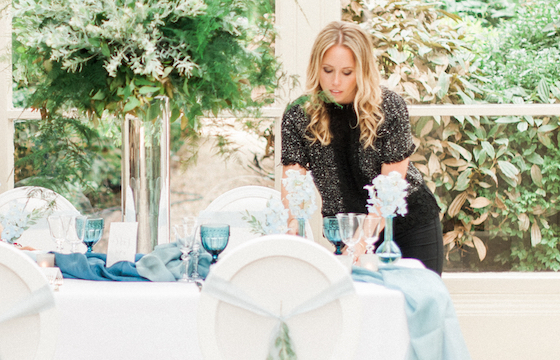 If you’re having a particular wedding colour theme, you don’t want it to feel too matchy, matchy and overbearing. 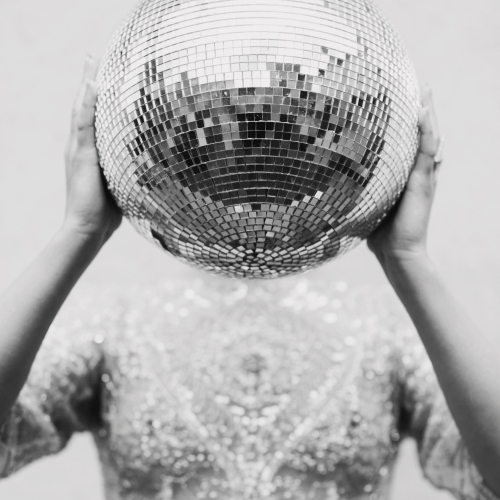 Play around with other tones that will compliment your chosen shade. 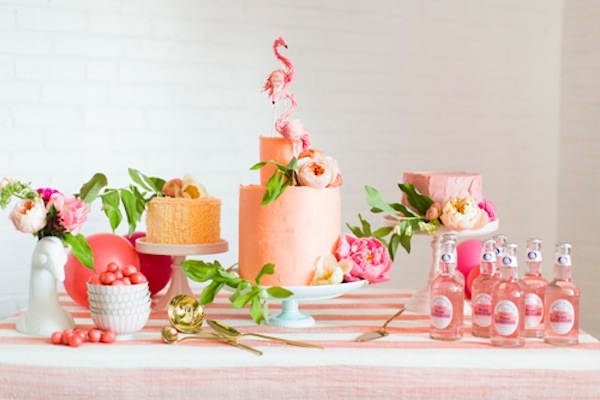 Dessert buffet tables look just scrumptious in shades of pink, note those hints of mint again with the cake stands! 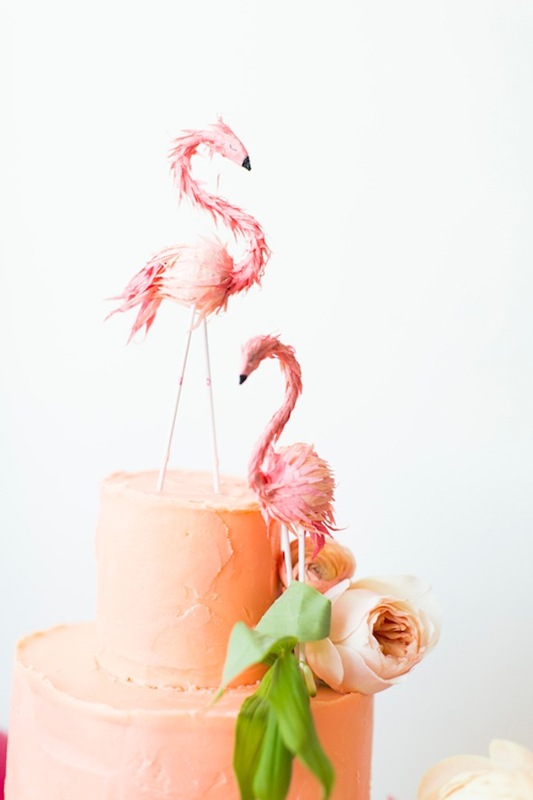 I know these BHLDN pink flamingo cake toppers have been popular amongst you whimsy brides.